I've been promising to catalogue my love of one Stephen T. Colbert for a while now, and this week seems like the week to do it, as Colbert has just finished his blindingly brilliant Hobbit Week on The Colbert Report. Between his nerdy background, his geeky pursuits, his devilishly clever humor and his overall good guy-ness, Colbert is a worthy nerd crush. Colbert is a former D&D player who can drop more gaming knowledge on you than you could roll a 20-sided die at, and he has on multiple occasions experienced a Quickening after absorbing a foe's power, a la Highlander. So mighty a patriot (and geek) is Colbert that Marvel Comics editor-in-chief Joe Quesada gifted Colbert with Captain America's shield. As you can hear in the clip below, it's clear that I'm not the only lady harboring pro-Colbert thoughts. 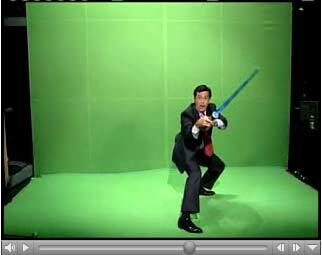 Setting aside Colbert's occasional bouts of televised nerdiness, there's much to admire on The Colbert Report itself. Colbert uses his television platform to educate his audience and make his political points with over-the-top humor. Consider the Colbert Super PAC, which he established to point out the flaws in the country's campaign finance laws. 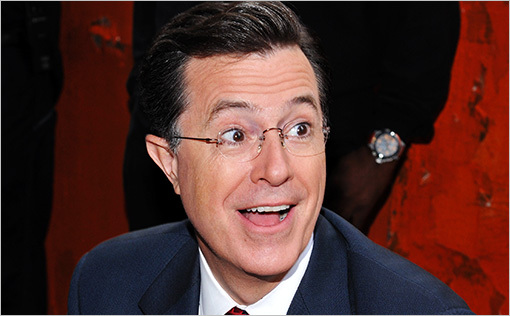 It raised more than $1 million, and Colbert won a Peabody Award for the "innovative means" of educating his viewers about the controversial Citizens United Supreme Court decision. In general, Colbert's earnest conservative persona on his show is a brilliant way to get people engaged in complicated political, financial and legal issues that the public simply must understand. His critique of modern punditry is both devastating and spot-on hilarious, particularly his criticism of the fast-and-loose approach to facts many politicians and pundits embrace. Truthiness, as Colbert defines it, is knowing something emotionally without regards to facts or evidence. It's a dangerous trend in our political leaders, and Colbert spoofs it through his character's trademark blow-hard cluelessness. Is there any better way to educate than through humor? Colbert also supports worthwhile causes; in 2009, Colbert sat in a specially-made 7-foot-tall chair to read "The Story of Ferdinand" out loud to kick off the Montclair Public Library children's read-aloud marathon. Another nerd crush-worthy aspect of Colbert is his genuine delight when appearing publicly with his family. I mean, look to the left. 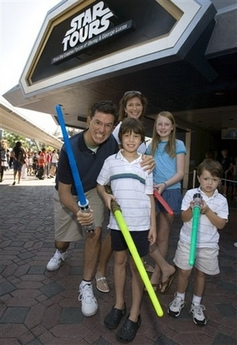 Who looks more excited, Colbert or his kids? It's almost as endearing as his big, goofy white shoes, dad-style polo shirt, and khaki shorts. More than anything else, Colbert comes across as a wickedly smart and dizzyingly funny guy who's innately decent, making jokes with warmth and affection that keep his barbs from stinging. He's tickled by the celebrities who appear on his show, and that enthusiasm is contagious. He's your average Tolkien-loving, light saber-swinging, politics-educating, self-deprecating funny man, and you should consider him for the position of your new nerd crush.